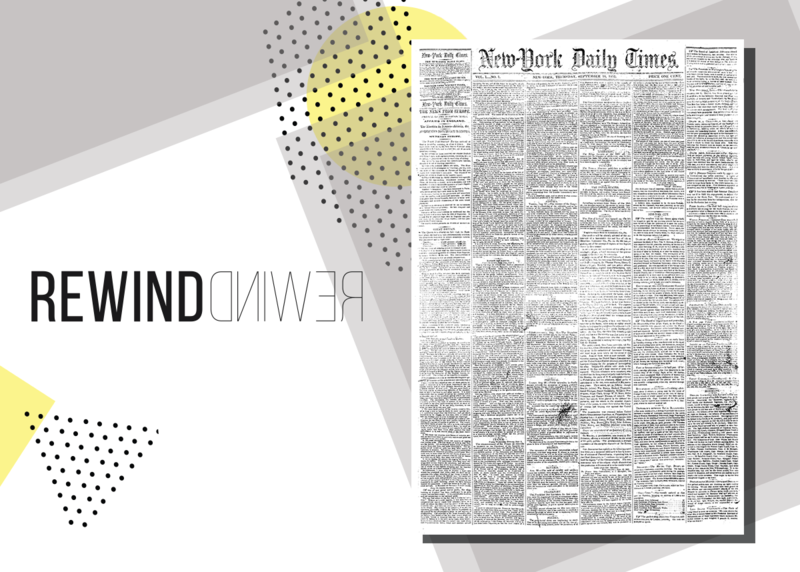 Rewind to 1851 when the New York Times published its first ever edition! Congratulations to the New York Times, which published its first ever newspaper 166 years ago today. That’s around 60,000 editions, not to mention 22 Pulitzer prizes, and an unfathomable number of world-class articles. Founded by journalist and politician Henry Jarvis Raymond and former banker George Jones, it was originally called the New-York Daily Times. In 1904, the newspaper moved its headquarters to the Times Tower, located at 1475 Broadway, in an area called Longacre Square, that was later renamed Times Square in honour of the newspaper. What 'me-time' means to editor Jeff Centenara of Inside Sport magazine. ON THIS DAY: The Fresh prince of Bel-Air premiered on NBC!